When Dr. Michelle Johnson scribbles out prescriptions, the next stop for many of her patients is the gym, not the pharmacy. In one such program run by a health center in Boston's Roxbury neighborhood, primary care physicians, internists and psychologists prescribe access to a gym for $10 a month, including free child care, classes and kids programs. Providing affordable gym access for patients ensures compliance, said Gibbs Saunders of Healthworks Community Fitness, a nonprofit gym in Dorchester that has partnered with several health care providers to help low-income residents fill their exercise prescriptions. Executives at the Whittier Street Health Center say low-cost access to a gym is important, since many residents' income is low and 70 percent of those they treat suffer from chronic problems such as obesity, high blood pressure, diabetes and depression. "Exercise is not a new medicine. It's really an old medicine," said Johnson, who prescribes exercise to patients at the Roxbury-based health center. "But you know, I think we're now coming to the point of understanding how important it is." 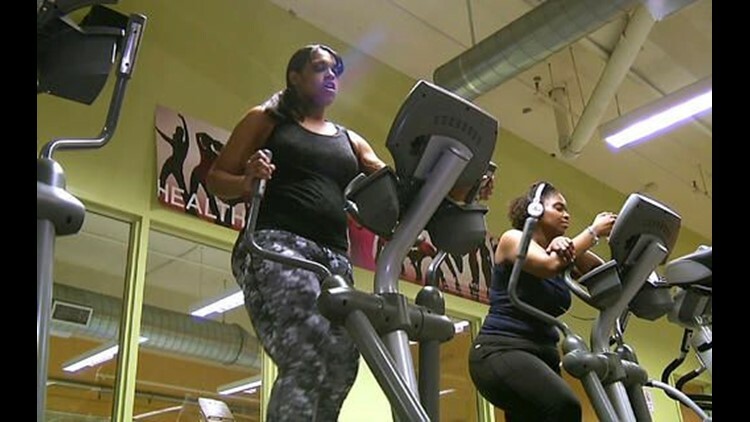 Monisha Long, who is morbidly obese and suffers from hypertension, got a doctor's prescription for exercise and says she's gotten visible and dramatic results after more than two years of regular workouts. "I lost well over 150 pounds, and I've been keeping it off for the past couple of years," she said after working out on an elliptical machine at Healthworks. "I'm more energized," she said. "As far as my energy, I feel like I'm stronger. I feel like I'm less tired. I feel like I can do almost anything now." Dr. Edward Phillips, a Boston physician, is so sold on exercise he pedals on a stationary bike that's integrated into his office desk. Phillips said exercise is "like taking a little bit of Prozac — an antidepressant — and a little bit of Ritalin, which is a stimulant." "Our bodies are meant to move," he said. "Integrating movement into our day allows the system to work optimally. Part of the system that needs to work is our brain, and includes sleep, mood, cognition, ability to concentrate." "$10 a month is what? $2 a week, $2-$2.50 a week," she said. "A lot of people pay that every day for coffee. It's not a big sacrifice for something that you get big rewards from."